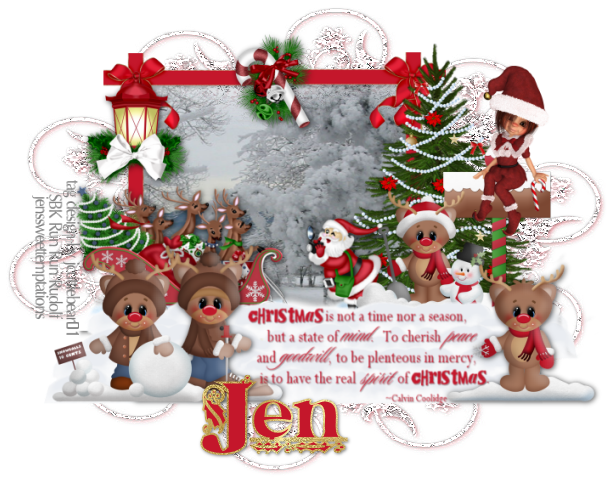 Jen's 12 Days of Christmas will be starting December 14th and you don't want to miss a day!!!! The above tag was made with the kit and there are many more wonderful elements & papers not shown. I made a blog set out of this darling kit. 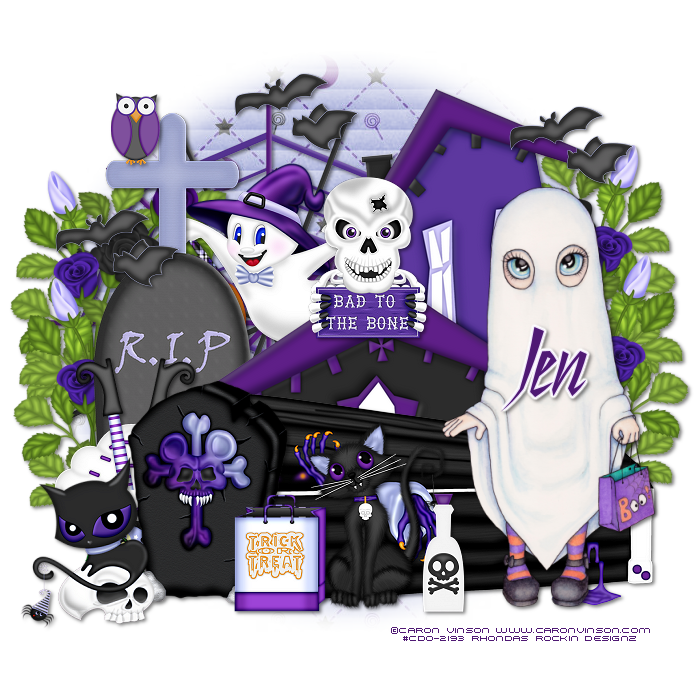 New tutorial using the awesome kit "Beware"
Thank you Jen for making me this awesome kit!!!! 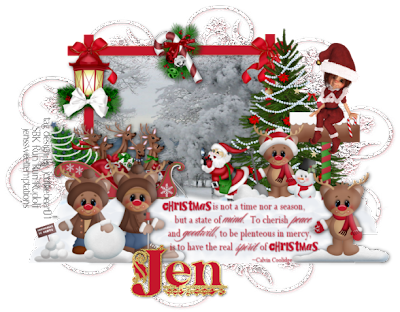 New tutorial using Jen's newest kit "Madness"
TY Jen for this cute kit!! !